Why is Jelly Called Jelly? 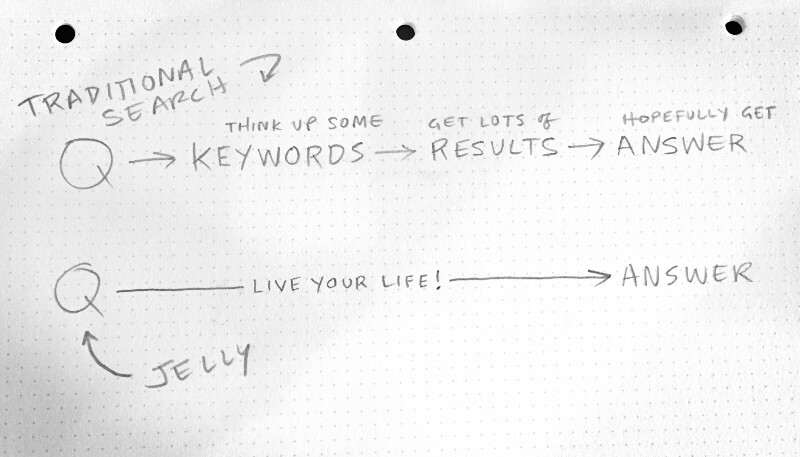 From the end user’s experience, using a search engine like Google is amazingly intuitive. So much so, at least one person was even caught saying ‘please’ and ‘thank you’ every time she entered a query. Type in a question, phrase, or a combo of keywords and based on a complex, secretive algorithm, Google will display relevant results before you can blink. That’s their mission: speed and relevancy. It’s how they’ve been able to exceed 3.5 billion queries per day. Usage aside, what happens if you stumble upon something that you are unfamiliar with and can’t really describe the characteristics of it? All of a sudden, searching becomes rather complicated. 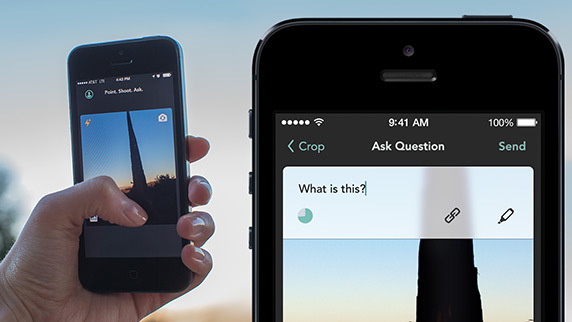 Wouldn’t it be easier to snap a photo of that something and request an answer? Without further ado, I introduce you to Jelly, the time-delayed Google with a human being on the other end. The concept derived from the question,“What would search look like if it were created today?” In 2013, Biz Stone, one of the co-founders of Twitter, and Ben Finkel launched a question-and-answer (Q&A) app called Jelly to battle the likes of Quora, ChaCha and search engines. According to Stone, “Jelly changes how we find answers because it uses pictures and people in our social networks. It turns out that getting answers from people is very different from retrieving information with algorithms. Also, it has the added benefit of being fun.” He goes onto to explain that the only similarity to search engines is that you ask it stuff and it returns answers, but that’s where the similarities end. Using the app is simple. Let’s say you walked by someone wearing a hockey jersey and were unsure what team it was. You can snap a photo, type your question – “What team is this?” and exclusively distribute it to your social networks. In turn, you could potentially solve this problem with a little more brain power via Google. For example, you could search “List of NHL hockey jerseys” or describe the colors or logo of the jersey. It just comes with a little more effort, but you control the response time. Similar to Quora and even Yahoo Answers (if that’s still a thing), with Jelly, you’ll have to be patient and wait for a response. Why is it called Jelly? 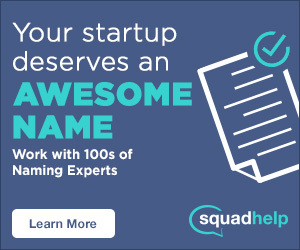 SEE ALSO: Why is it called Quora?